South Bay Hospital will host two free health education seminars on orthopedic topics in September. 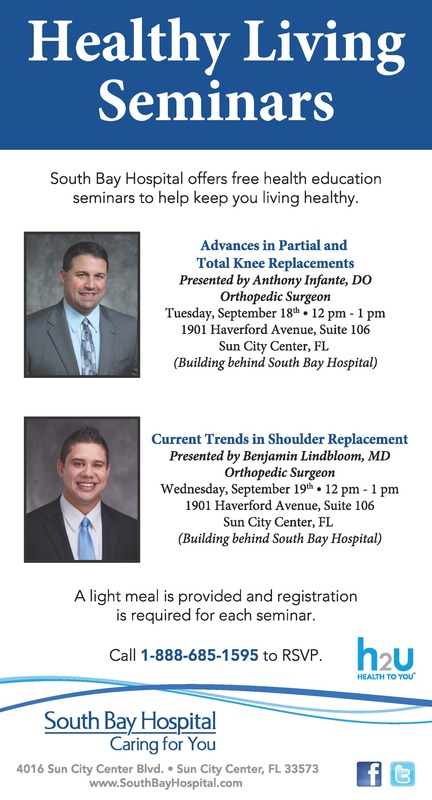 Advances in Partial Knee and Total Knee Replacements will be presented by Anthony Infante, DO, Orthopedic Surgeon. A boxed wrap sandwich lunch will be provided.